David Pompliano is Founding Chief Scientific Officer (CSO) of Lodo Therapeutics, a drug discovery company based in New York. Since its inception in 2015, the company has focused on microbial metagenomics-based discovery, and synthetic biological manipulation of novel secondary metabolite biosynthetic pathways to produce new medicines. Lodo, backed by the Gates Foundation and the Accelerator Corporation, is developing new antibacterial agents to treat infections caused by Gram-negative pathogens and by Mycobacterium tuberculosis. David recently joined Accelerator Corporation as a Venture Partner, where he identifies assets, technologies or commercial entities within academia or the biopharmaceutical industry, that may serve as the basis for forming new therapeutics companies. He also owns Sanderling Consulting LLC and serves as its Principal to assist investors, companies and philanthropic organizations in the evaluation of pharmaceutical assets, setting drug discovery strategies and the process involved in preclinical discovery and development. David participates in many anti-infective discovery review meetings and serves on the scientific advisory boards of several biotechnology companies, government agencies and philanthropic organizations. David has over 25 years’ experience in the biopharmaceutical industry, most recently as CSO of Revolution Medicines, a drug discovery company he co-founded in 2014 while an Entrepreneur-in-Residence at Third Rock Ventures. Before that, he was Chief Executive Officer of BioLeap, a computational fragment-based drug design company. Earlier, he served as a senior pharmaceutical executive at GSK and Merck, where he led drug discovery teams that produced preclinical credentials for more than 30 development candidates and four registered anti-infective (Altabax) and oncology (Tykerb, Votrient, Promacta) drugs. 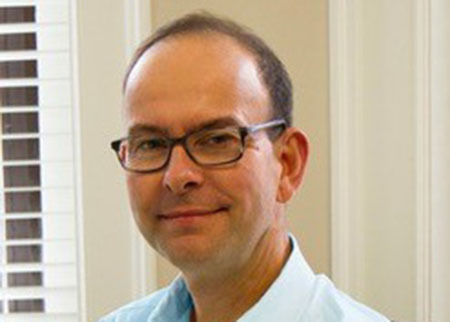 David has published more than 50 peer-reviewed papers in the areas of infectious diseases, cancer drug discovery and mechanistic enzymology, and has presented at over 50 international lectures. He earned his BSc and PhD degrees in chemistry from the University of Virginia and Stanford University, respectively. He conducted research in enzymology and molecular biology as a National Institutes of Health Postdoctoral Fellow in Jeremy Knowles’ laboratory at Harvard University.